Though famous for Halloween celebrations, Sleepy Hollow and its surrounding area is a great place to venture with children any time of the year. Explore the beautiful Hudson Valley, take in some unique Americana and experience history dating back to colonial times. Families will enjoy this active day exploring some more notable locations that kids and adults are sure to enjoy together. Hours: June 1-September 30, open Wednesday-Sunday, plus Labor Day. October 1-31, open daily except Tuesdays. Nov. 1-9, open Saturdays and Sundays. Philipsburg Manor visitor center opens at 9 am. Admission: Varies by day and package level, consult this page for rates. You can also book in advance online. Kykuit, the historic estate of the Rockefeller family, is truly something to behold. Currently a historic site of the National Trust for Historic Preservation, the mansion and its grounds were previously home to four generations of Rockefellers. This famous American family helped build the town and popularize the Hudson Valley as a retreat from the bustle of New York City. The guided tour offers a fascinating slice of history, art and culture as you take a look into how the 1% of yore lived. In spring and summer the gardens will provide a special treat to those who love to spend time working outside, while in the fall this is an excellent jumping off point to the area’s various Halloween-themed activities. Address: The trail extends from Yonkers to Croton-on-Hudson. See later note on maps to find out various points to join. Hours: Always available, though better during light and preferably not immediately after rain. Admission: Free to walk, however you will most likely want a map which can be purchased here, or a less detailed free version is found here. This impressive trail follows the path that water once traveled to supply New York City. Now it is an amazing place for walking or biking at your own pace. Spanning much of the Hudson Valley, you can choose to tackle as much or as little as you want. Highlights include passing by Lyndhurst Castle in Tarrytown, Washington Irving’s Sunnyside Estate as well as a number of backyards in Sleepy Hollow, giving you a truly local perspective of the village. Most of the trail is fairly tame and suitable for small children and even strollers. See the above links to maps and guide yourself wherever you like as you appreciate the scenery, the history and the fresh air on this unique walk. If you are interested in going even further, a private company offers personal tours guided by docent. Admission: Parking fees may apply. Other fees vary based on activity. Advanced registration is suggested for most programs and required for some. Both Sleepy Hollow and Tarrytown are rich in history that extends back to the colonial era. Dutch farming communities dominated the Hudson Valley during this period, and Stone Barns offers families an exciting opportunity to step back and experience it firsthand. Updated slightly for the modern era, this facility now boasts an 80 acre farm uniting 21st century sustainable growing practices with the same community gardening philosophy the area was settled on. The grounds feature a restaurant, café, and a farmer’s market on site with locally raised food. Consult their website and calendar for other activities (running year round) like greenhouse and farm tours, an introduction to vegetable crops, workshops on wild foraging, farming and gardening, children’s story time, cooking classes, and seasonal farm celebrations including a harvest festival. A self guided tour is always an option as well. Whether you plan on visiting or not, at least check out their website for some fantastic recipes and ideas for using fresh produce. 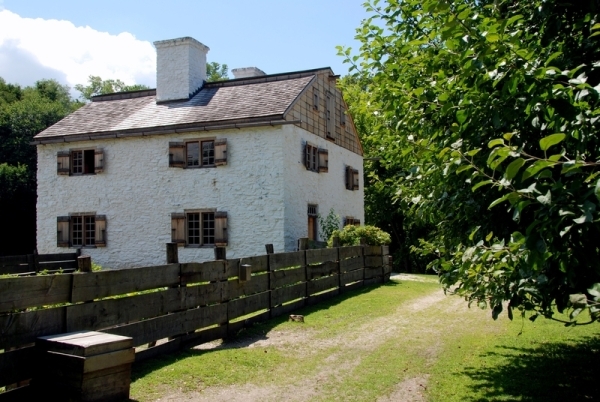 Interested in booking or planning a vacation to Sleepy Hollow right now? Check out some of the amazing offers currently available for airfare and hotels at Kayak, Orbitz and Priceline. Need to rent a car? Try Hertz for great rates. See more lodging options at Hotels.com and Hilton. Get started on your next trip today!